Used Grimmer Schmidt Screw Model NK100 Air Compressors and Van Air Dryers Model ED 220 for sale!!! 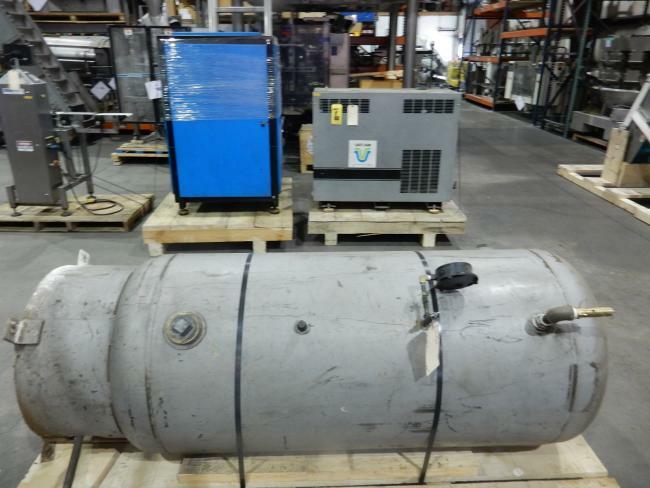 Used Grimmer Schmidt Air Compressors and Van Air Dryers for sale!!! High PErformance Packaging has many Grimmer Schmidt screw air compressors Model NK100 and Van Air refrigerated air dryer model ED220 in stock. Used complete system Grimmer Schmidt 40HP screw compressor, Van Air refrigerated Air Dryer, and 120 gallon buffer tank for sale!! !